Due to the increasingly difficult economic situation, tension rises in the headquarters of the Socialistic Unity Party (SED), as of the end of 1988. The Soviet Union is in a deep economic and political crisis. In order to end the arms race and in order to curb their military expenses, states allied in the Warsaw Treaty sign the Vienna KZSE agreement in 1988. They commit to guarantee all citizens free departure and re-entry of the country. 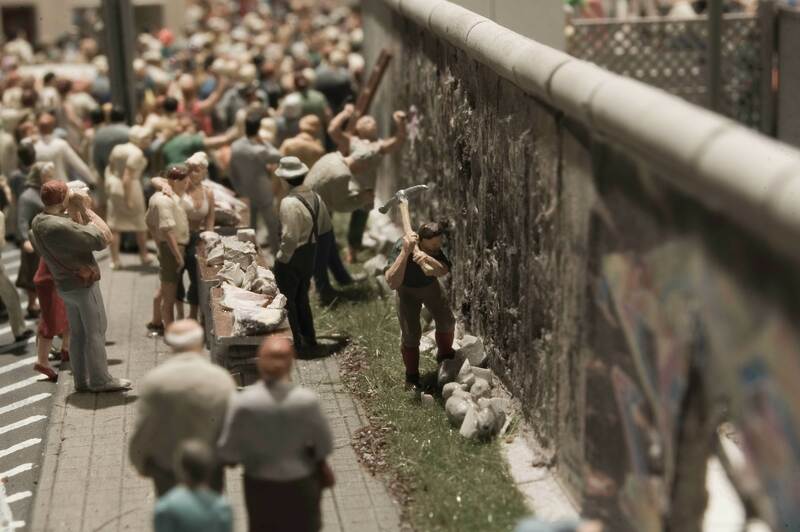 On April 3rd 1989, Erich Hoenecker informally suspends the firing order at The Wall. On Monday, September 4th 1989, 1,200 people are demonstrating for their departure to the West. After peaceful weekly services at Leipzig’s Nikolai Church, they’re shouting: ‘We want to get out’ and ‘We are the people’. 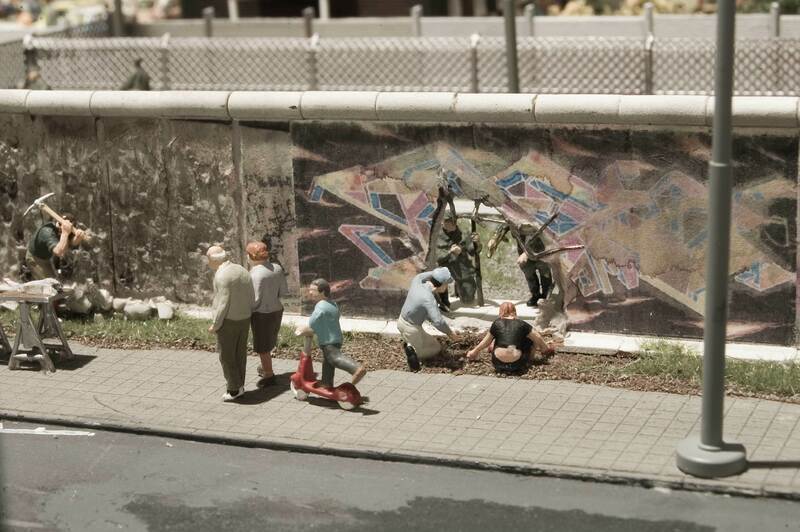 The following Monday’s demonstrations are carried out in other East German towns as well. All-in-all several hundred people are participating. The demonstrators meet with arrests and sometimes violent opposition from the police. 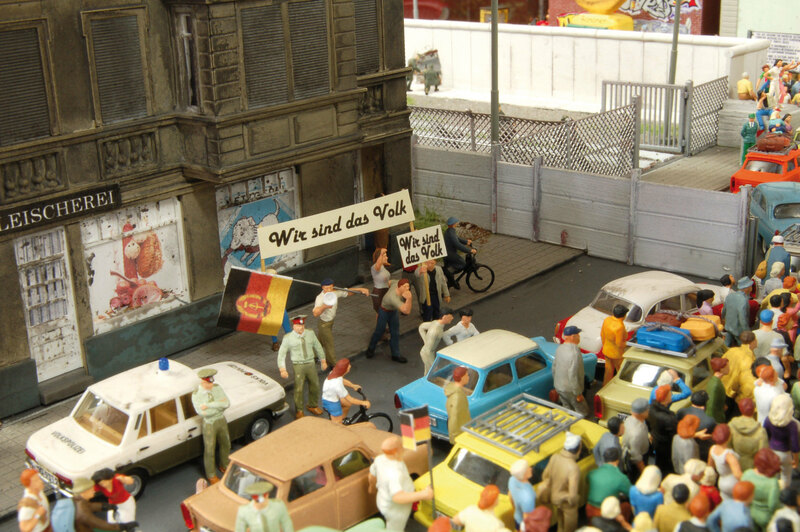 End of September, more that 10,000 GDR citizens squat the West German embassy in Prague in order to force their departure. 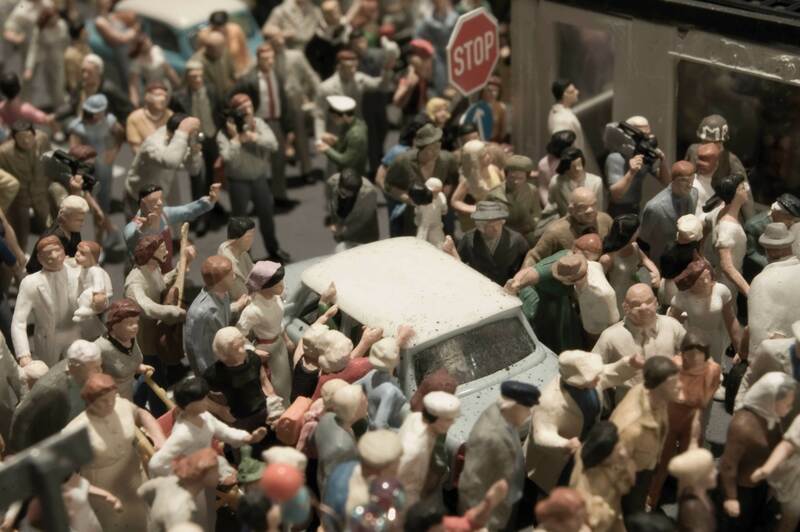 On September 30th, the GDR yields, finally, and allows defectors to leave. Federal Foreign Minister Hans-Dietrich Genscher announces the message from the balcony of the Prague embassy. On November 6th 1989 the SED-leadership publishes a new draft for travel laws restricting travel periods to 30 days per year. The regulations include grounds for future refusal, which do not seem reasonable for the population. At an international press conference on November 9th 1989, a SED Politburo member, Günter Scharbowski, explains that the travel law draft will come into effect in a different manner: This includes the permission for each GDR citizen to leave East Germany via border checkpoints, effective instantly. Thereupon, several thousand East Berliners stream towards the checkpoints in town and demand an immediate opening of the border. At 9:20 p.m., in order to relieve the pressure from the masses, the first East Germans are permitted to pass checkpoint Bornholmer Straße to enter West Berlin. At 9:30 p.m., the radio channel RIAS broadcasts first reports about open border checkpoints. 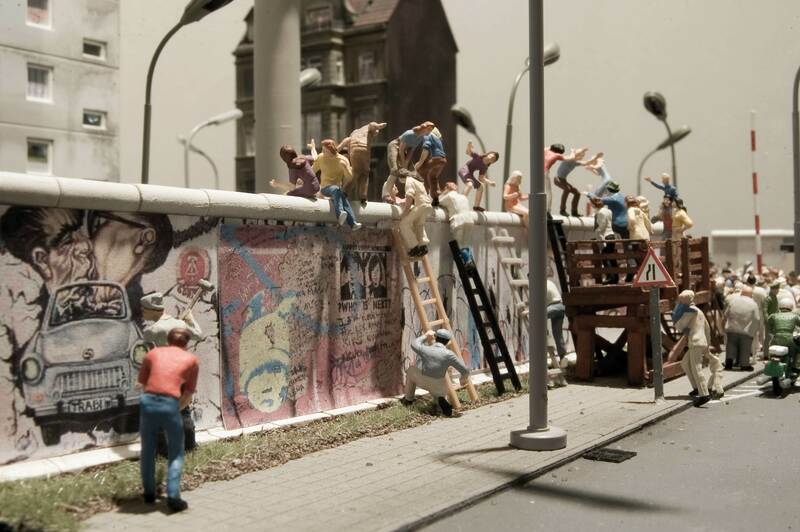 Approximately 200,000 people are gathering at all checkpoints; many of them are even storming The Wall in order to reach West Berlin. At 11:30 p.m. the Bornholmer Straße checkpoint is fully open for GDR citizens, further border openings following within a few hours. There’s no official command to open the border. In the weeks following the 9th of November, wall segments at symbolic sites are being removed, for example, at the Brandenburg Gate. Holes struck into The Wall by wall-peckers grow larger and larger; border controls decrease more and more. On June 27th 1990, the GDR ministry and the Federal Republic of Germany agree to abolish identity checks at the inner-German border. On October 3rd 1990, Germany is officially reunified, at long last.